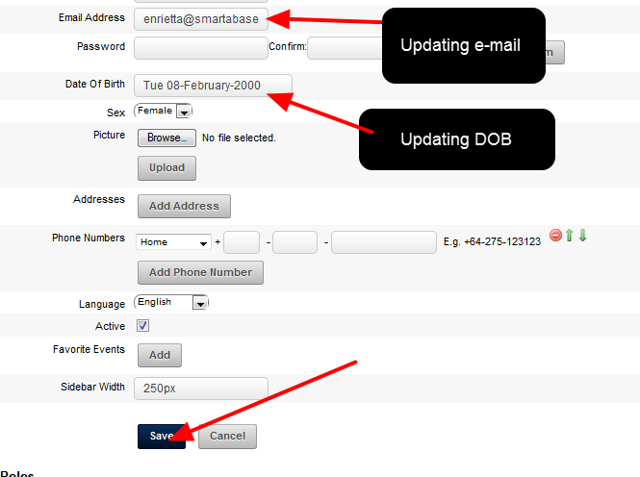 The example here shows that e-mail and DOB are going to be updated. As soon as this is completed click on Save. 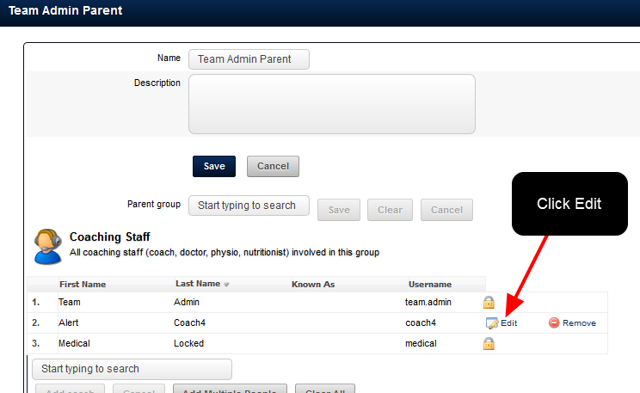 To learn more about editing account information and editing their roles and groups, see the lesson on "Adding in a new user and setting them up with Roles in a Group, or as a Coach of a Group"
3: A pop up message will appear saying they have been added. This will simply remove this user from the group or role you selected. It will NOT delete them from the system. If a user appears with a "Lock" beside their name, you cannot edit any of their account details. 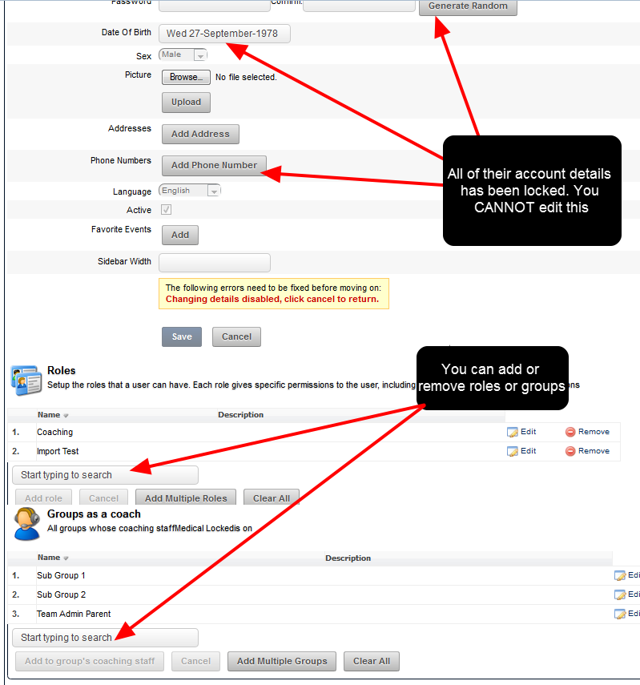 You can change the groups or roles they have access to. N.B. The changes lost message is a standardised message that appears whenever you click cancel on the system. Please ignore this as all of the group or roles changes will be retained. 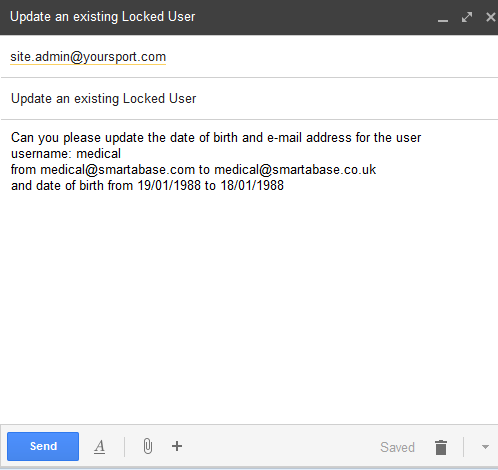 The changes lost message is for the account information which you cannot edit anyway for this user. If you need to edit the account details of a locked user, please send these directly to your Site Administrator and they can make the changes for you.